It is soooooo hot here! 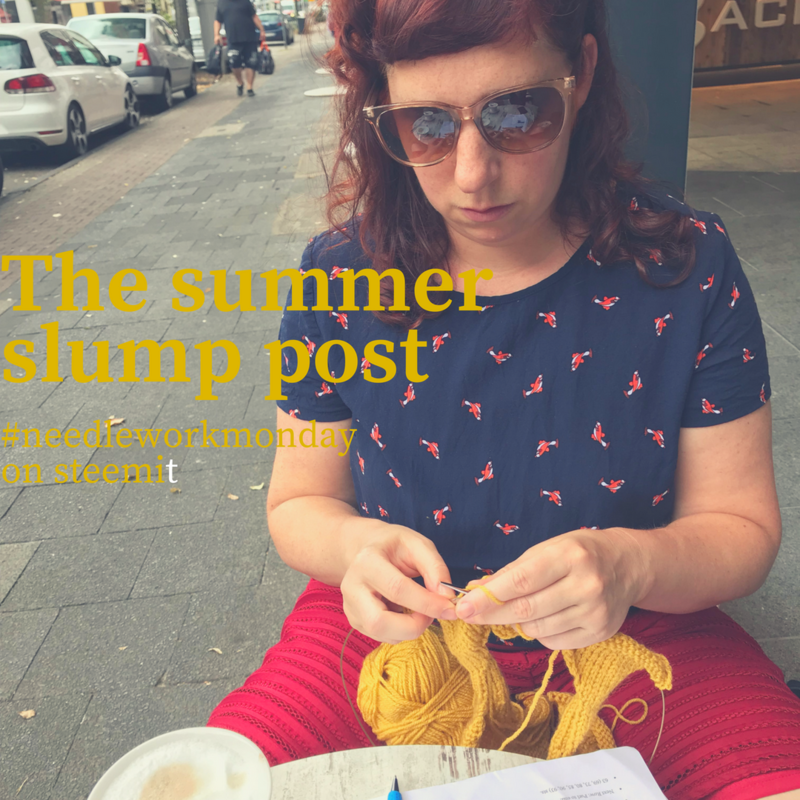 I mentioned it before in about 100 comments on my steemit blog … and I repeat: it is super and unnaturally hot. Tomorrow we await 39 degrees. This temperature is completely new to me. I sweat on my hands while knitting – honestly :-DDD But the weather will not stop me. I am slowly progressing on my cropped sweater for fall, which has this for me new technique of short-row sleeves. Nevertheless, the weather is slowing me down and it prevents me from writing a nice post (ok, this may be exaggerated :-D) My computer is overheating and shuts itself down after a while to prevent damage. 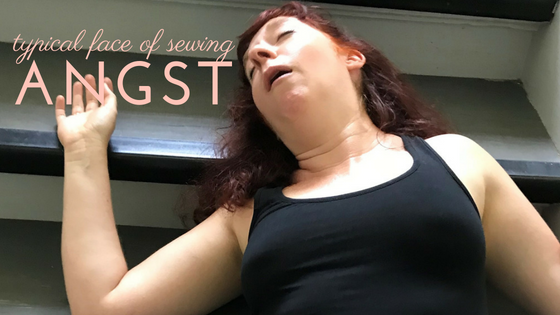 Since I have started sewing skirts, I must have send signals into the universe that I want to sew more, because friends and family ask me now to alter their clothes. 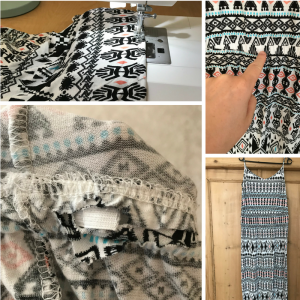 Simple things, sewing a cowl, or shortening trousers or a dress. Meanwhile the demands pleas are becoming more complicated. For example, taking in a too wide dress or cutting a dress in half and sewing it together again. Perhaps you are wondering why someone wants their dress divided? This black and white patterned dress belongs to my mother and last week I shortened it a bit. But it still does not fit well, because it has a very tight elastic inserted directly under the bustline. My mother already tried to cut it out, but it is sewn in and there is no change to unstitch it without harming the fabric. My idea was to cut it out and then sew the two parts together without the elastic. Is this a good idea or completely rubbish? Dear seamstresses and sewing lovers: help please….. You already know that my knowledge of sewing is very limited, and I am still short before a heart attack while sewing (I am so frightened to destroy the fabric). 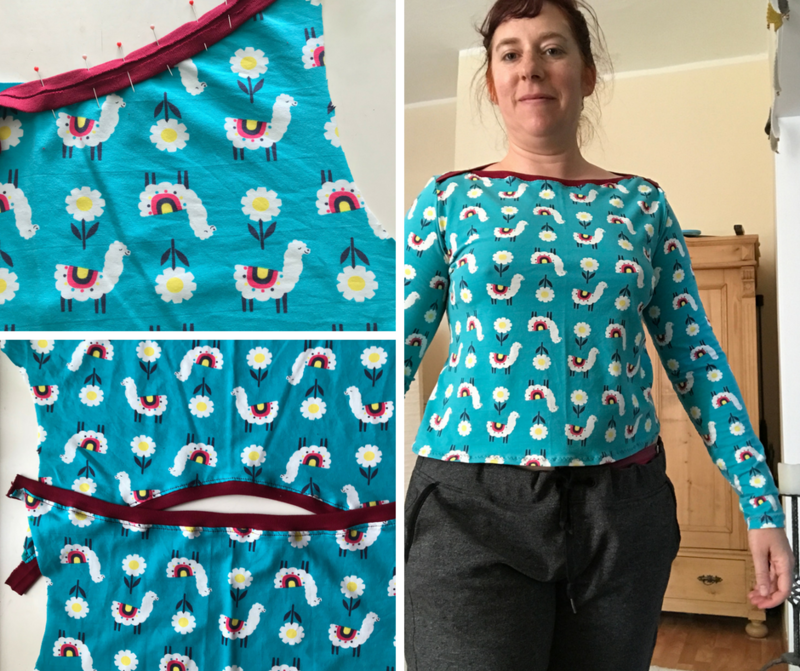 The other project I started to sew is the Ella dress from pattydoo. 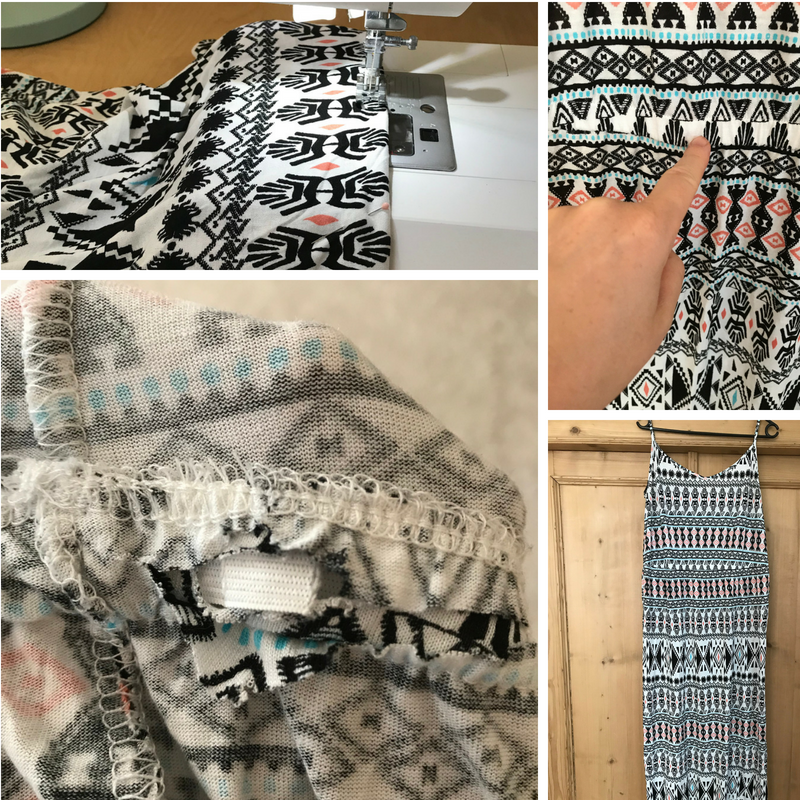 I only included this project in my post because of this strange coincidence: @marbleby is also using a pattern from pattydoo, which is pretty famous in Germany 😀 But in contrast to me, she has already finished her sewing project: a beautiful bag. On the (not so nice photo) you can see my first attempt on the top of the Ella dress from pattydoo. I used a super cheap and funny fabric with alpacas. 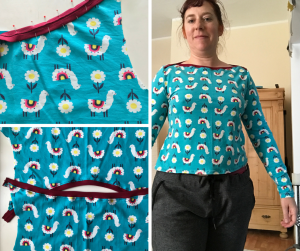 I made for the first time an “American neckline” (no idea why it is called like this in Germany). The Neckline turned out ok, but the top is to tight for my liking, for the real dress I will size up.